Dealers / Blog / How Credible is Your Dealership Website? We all know the stereotypes people have concerning used car dealerships. Used car dealers are often assumed to be sketchy or shady—an unfair cliché that nevertheless makes many buyers reluctant. It’s critical to the success of any dealership to dispel this cliché, and to convey real trustworthiness and credibility. One way to do that is through your used car dealership website. The question is, does your dealership convey credibility? Here are a few ways to tell. Testimonials and reviews. The quickest way to help your customers feel confident and comfortable is to show them that others have bought cars from you and enjoyed the experience. Testimonials and reviews from past clients can be an invaluable form of social proof. No ads. 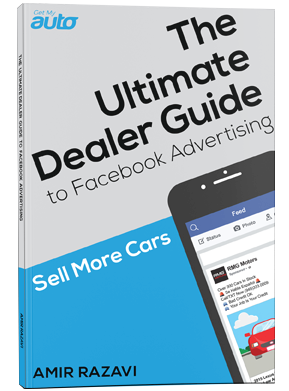 While some smaller dealerships may be tempted to run third-party ads on their site—boosting revenues—this ultimately causes your dealership to look desperate and unprofessional. Ditch the ads to boost your credibility! Regular updates. Sites that feel like they haven’t been updated in weeks, months, or even years tend to appear less credible. Make sure to refresh your website content at least once a year, and update your dealership blog often! Contact information. Where can buyers get a hold of you if they have a question or need to resolve an issue? If you don’t have clear contact information somewhere on your site, it makes it seem like you have something to hide! A fast loading time. Want your website to come across as totally professional? Make sure it loads quickly—ideally in three seconds or less. This is an important and oft-overlooked way to boost credibility. About Us information. Another way to make your dealership seem more trustworthy is to humanize it. That means including a robust About Us page, ideally with bios and photos of your team members. Trust seals. Guaranties, warranties, money-back offers—if you have any of these offers in place, make sure they are positioned prominently on your dealership website! They give buyers a lot of peace of mind! BBB accreditation. If you are affiliated with the BBB or any other area business organization, make your membership known! Again, it’s an easy way to give your buyers peace of mind. The bottom line for dealers is that earning trust is critical—and it’s something you can do with a well-designed website. 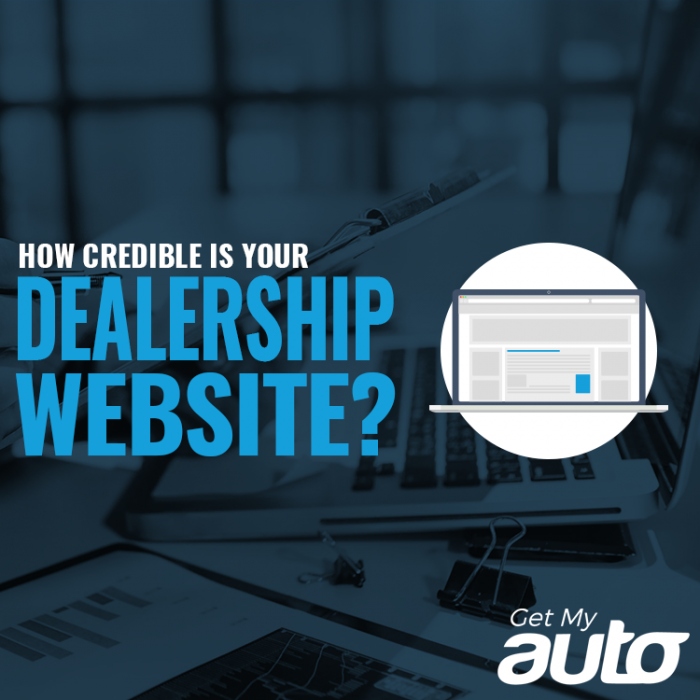 To learn more about developing a website that will help your dealership succeed, reach out to the automotive marketing experts at Get My Auto today!